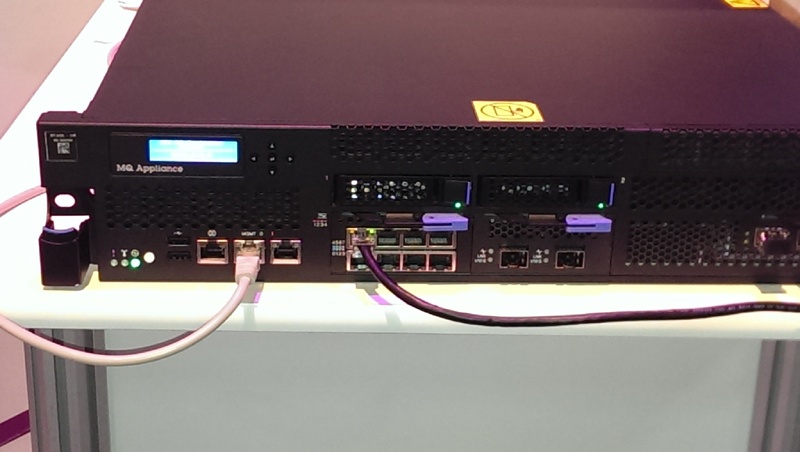 So IBM has delivered an MQ Appliance (the IBM MQ Appliance M2000 to give it its handy IBM name). For the uninitiated, this is MQ in a box (literally!). But why? Obviously, appliances often appeal from a security point of view, since they are often tamper-evident and anyway pretty hard to hack if they are physically locked up. But MQ is all about delivering messages; OK, the messages in the queues might have value, but they are probably encrypted anyway if they are sensitive. Now a security gateway, well sure an appliance makes sense. Stop all those undesirables coming into your enterprise with a secure box. But MQ? Turns out there are some pretty damn convincing reasons why numerous companies are going to be very interested in the MQ Appliance. Think about MQ and where/how it is used. MQ usage is pretty much pervasive in most large companies, often providing the enterprise backbone for all application to application communications. It offers assured once-only delivery and is particularly good at dealing with hostile networks where connectivity is sporadic. Messages are simply queued and then delivered when the connection is available. As a result, it is often the most attractive way to communicate between applications all the way out to the fringes of the enterprise. When dealing with countries that have limited communications infrastructure the asynchronous nature of MQ makes it an ideal communications mechanism. However there is a drawback; often these sorts of locations are also the ones with the fewest available IT skills locally. Setting up MQ queue managers and queues is not a trivial operation. But it is now! Instead of having a software stack that needs to be installed, companies can simply deliver the MQ Appliance to all their key locations. The recipients plug it in, turn it on and then specialists can configure it remotely. It is now ready to run; no wait, no messing, no opportunity for accidents, no need for expensive maintenance and support resources, just start messaging straight away. Maintenance is quick and easy and can be handled by a single team; each box is consistent and maintenance is applied as a single firmware upgrade to all devices. 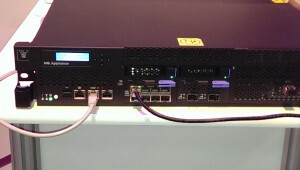 In terms of capacity, the MQ Appliance has a pretty vast RAID array for holding the messages in queues until they have been delivered, and if availability is critical then by simply having two MQ Appliances and three cables between them you instantly have duplex queues ensuring that any hardware failure does not cause an outage. Having a uniform appliance for all the major MQ nodes also ensures that there is consistency in terms of configuration and operations. This makes results predictable and speeds up problem determination if there are any application or usage issues. Seems to me that just about any enterprise that has adopted MQ as its messaging backbone will be interested in the MQ Appliance. And the best bit? It has to be that cool ‘MQ Appliance’ label just under the display!